You are a fan of undershirts and T-shirts of big brands of underwear ? In this category, we offer them in packs. More economical, pratical with a equivalent quality as models sold in unity, packs of EMINENCE undershirts, HOM T-shirts or EMPORIO ARMANI will allow you to make quick and effective purchases of underwear for men. This pack of 3 Diesel V-Neck T-shirt offers an excellent quality/price ratio in a very nice 100% cotton material. 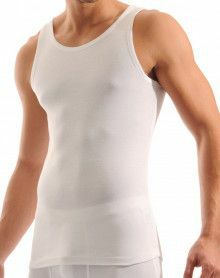 This Eminence iconic tank offers a modern and comfortable revisited form. These classics in soft mesh of eminence are in 100% cotton. Soft and comfortable, these longshoremen are also resistant to washing at high temperatures. (100% cotton). This iconic Eminence V neck t-shirt offers a revisited form modern and comfortable. Many brands of high-end underwear offer their T-shirts in packs of two or three. EMINENCE offers different types of T-shirt: V-neck or round neck, tank tops, short sleeves or long sleeves. 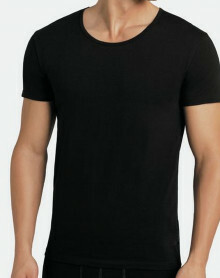 In the same way, EMPORIO ARMANI, CALVIN KLEIN and HOM offer many packs of tee-shirts, mainly black and white. ATHENA will offer T-shirts with excellent value for money. The models MARINER, IMPETUS and PUNTO BLANCO will be sober and elegant, ideally worn under a sweater. In short, buying a pack of T-shirts is like making a simple, quick and effective purchase.